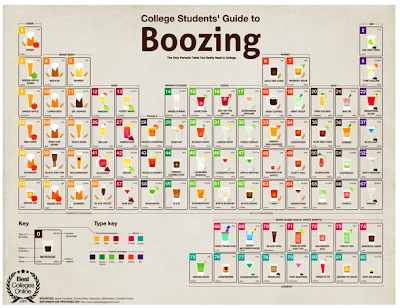 We just couldn't pass up posting this twist on the periodic table for the 21 and over college crowd. It won't help you study, or make you mix a better drink, but it will be entertaining, which is a lot more than I can say about the science classes I had to take. It is from the Best Colleges Online website, which is worth a visit.